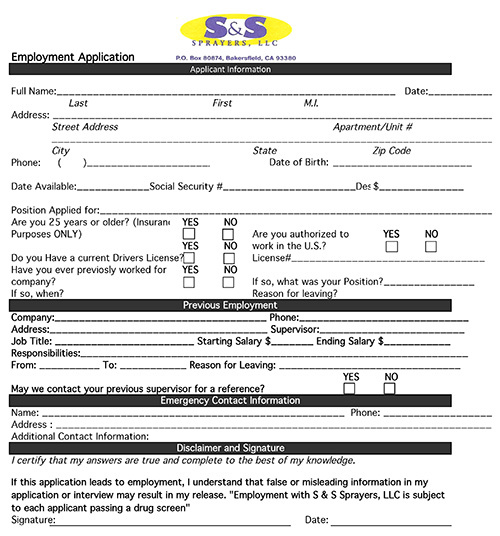 Please fill out the application below or download the printable version of our job application. Have you ever previosly worked for this company? I certify that my answers are true and complete to the best of my knowledge. If this application leads to employment, I understand that false or misleading information in my application or interview may result in my release. "Employment with S & S Sprayers, LLC is subject to each applicant passing a drug screen"